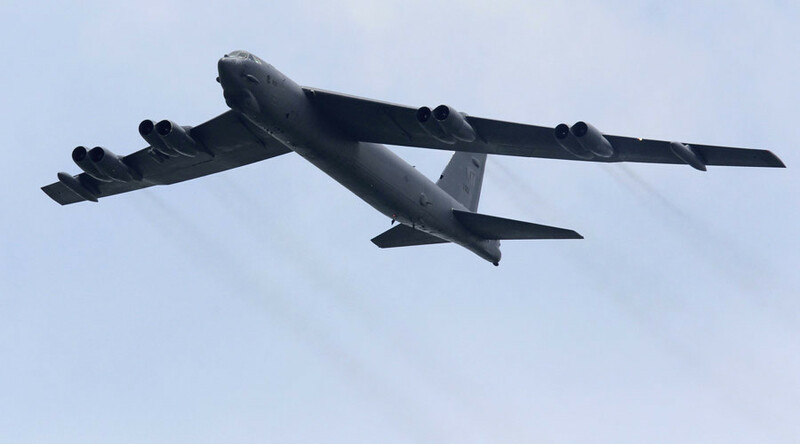 A B-52 Stratofortress bomber lost one of its eight engines while conducting a training flight off Minot Air Force Base in North Dakota. The engine broke up and debris landed in an unpopulated area, the report said. No immediate information of injuries or damage on the ground was available. A UH-1N Huey helicopter was dispatched to the site where engine fell to recover what was left of it. 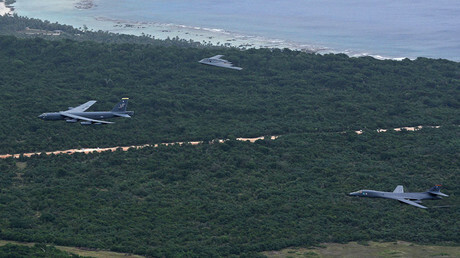 The incident happened as the Cold War-era heavy bomber with a crew of five was conducting a training flight. Air Force Secretary Deborah Lee James was reportedly visiting the base at the time. She is scheduled to meet airmen later on Thursday, local media reported. B-52s are among the oldest aircraft operated by the US Air Force, with 76 of them remaining in inventory, despite being over 50 years old. They continue to take part in missions overseas, from bombing militants in Iraq to flying over the contested South China Sea in defiance of China. The fleet is expected to remain in service until the 2040s, by which time it will be replaced with B-21 Raider heavy bombers currently under development by Northrop Grumman. The Stratofortress has eight Pratt & Whitney-made TF33-P-3/103 turbofan engines. A safety investigation board is to determine what caused the destruction of one of the engines during the Wednesday flight over North Dakota.